These past weeks I have been fortunate enough to meet some very clever and inventive mums who also run their own business. It's inspiring to be around women who have achieved so much, all whilst changing nappies and nurturing their children. There have been some funny moments in cafes trying to communicate while our toddlers are climbing or needing a nap! It's great to be in company! During this time I have been asked by a few people to write for them which is a real honour because, essentially, we write what we think and it comes as a surprise to hear people are interested in what I've got to say or think at all! I've been thinking as I develop new art materials, what sort would be of benefit to children? And how do children play and create? What do they get out of it and how can I increase the play or creative value of my products? This has led me to research and explore the reasons why creativity in children is so important. Obviously being creative means being able to express yourself and this is no different for children. As children are also learning about their environment and the world around them, they are able to explore with such freedom. Have you heard an adult say "I don't know how to draw"? This is because, by this point in their life, they have applied a standard or specific skill to drawing. Luckily, however, young children have not yet learned to judge or criticise. They are simply doing what comes naturally to them. Mimicking their environment through drawing it, or playing mum by making pretend food in the mud kitchen with play dough. 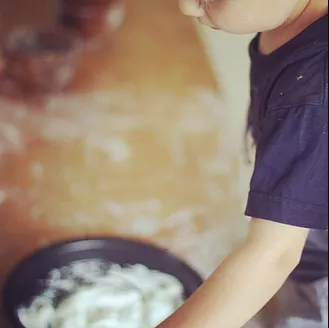 (Click here to see some Gluten Free Organic play dough from Tiny Land). Being creative is an opportunity to change what is in front of them, to match what they like or feel. For example, that blank piece of paper could become a pirate landscape or treasure map! Or that dough can become a princess's castle for dolly. With adults generally calling the shots, it's a great opportunity for children to be the master of his or her world! A therapist can use play and creativity to discover what a child is feeling. A wide range of materials and activities enable children to try out new ideas and problem solving. 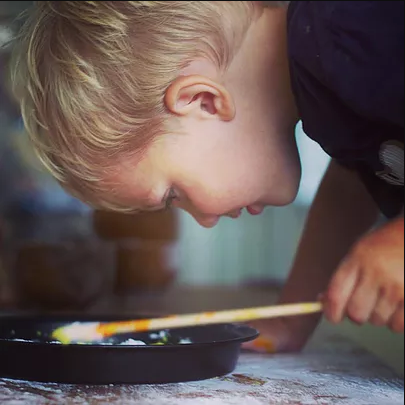 Discover and Be ensure they meet every child's needs by having lots of different areas exploring textures, mediums and even singing to live music at the end! Aside from the physical development of children, their sensory learning and motor skills, play can become therapy when it is creative! 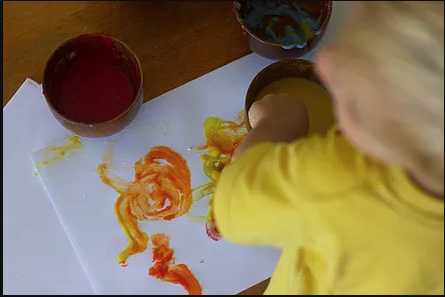 TinyLand provide organic, vegan and eco-friendly arts and crafts supplies.